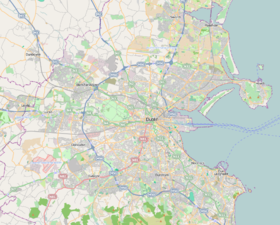 The League of Ireland First Division (Irish: Céad Roinn Sraith na hÉireann), also known as the SSE Airtricity League First Division, is the second level division in both the League of Ireland and the Republic of Ireland football league system. The division was formed in 1985. It replaced the League of Ireland B Division as the League of Ireland's second level division. Since 2003 the First Division has operated as a summer league. 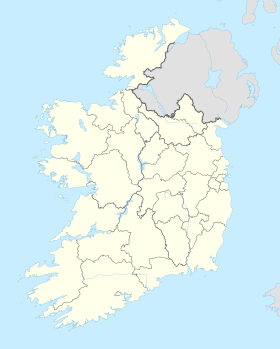 In 1985 five teams – Bray Wanderers, Cobh Ramblers, Derry City, EMFA and Newcastle United – were elected to join the League of Ireland. All five subsequently participated in the inaugural 1985–86 First Division season, along with Monaghan United from the League of Ireland B Division and four clubs – Drogheda United, Finn Harps, Longford Town and Sligo Rovers – who were relegated following the 1984–85 League of Ireland season. Bray Wanderers were the inaugural First Division champions. As a second level division, clubs playing in the First Division cannot qualify directly for Europe. However First Division clubs have qualified for Europe after winning the FAI Cup. In 1989–90 Bray Wanderers qualified for the 1990–91 European Cup Winners' Cup after winning the 1989–90 FAI Cup final. As a result, they became the first First Division team to play in Europe. In 1993–94 Sligo Rovers qualified for the 1994–95 European Cup Winners' Cup after winning the 1993–94 FAI Cup final. Rovers were also the 1993–94 First Division champions and were promoted to the 1994–95 Premier Division. As a result, they were actually a Premier Division club when they played in Europe. Bray Wanderers qualified for the 1999–2000 UEFA Cup after winning the 1999 FAI Cup Final. However, after finishing eleventh in the 1998–99 Premier Division, they were relegated to 1999–2000 First Division and as a result they were playing in the First Division when they subsequently embarked on their European campaign. In 2009 Sporting Fingal qualified for the 2010–11 UEFA Europa League after winning the 2009 FAI Cup Final. They were also promoted to the 2010 Premier Division after winning the promotion/relegation play-off. In 2015 UCD qualified for the 2015–16 UEFA Europa League via the UEFA Respect Fair Play ranking system. After the FAI finished third in the 2014–15 rankings, they nominated UCD for the extra European place. 2014 Longford Town Shelbourne Galway F.C. ^ a b c d Graham, Alex. Football in the Republic of Ireland a Statistical Record 1921–2005. Soccer Baooks Limited. ISBN 1-86223-135-4. ^ a b c d e "(Republic of) Ireland League Tables - Second Level". Rec.Sport.Soccer Statistics Foundation. Archived from the original on 3 June 2009. Retrieved 10 July 2016. ^ a b c "What Happens (To) Teams That Enter The League of Ireland First Division?". balls.ie. 20 February 2015. Retrieved 26 March 2016. ^ a b "Ireland 2009". Rec.Sport.Soccer Statistics Foundation. Retrieved 27 July 2016. ^ "UCD set for Europa League after topping Fair Play standings". The Irish Times. 8 May 2015. Retrieved 8 May 2015. ^ "Ireland 2008". Rec.Sport.Soccer Statistics Foundation. Retrieved 25 July 2016. ^ "Cabinteely FC will play in First Division in 2015 after FAI awards new licence". RTE Sport. 28 January 2015. Retrieved 29 January 2015. ^ "Cabinteely get green light to compete in League of Ireland First Division". Irish Independent. 28 January 2015. Retrieved 29 January 2015. ^ "Ireland – List of Topscorers". Rec.Sport.Soccer Statistics Foundation. Archived from the original on 6 April 2012. Retrieved 6 July 2016. This page was last edited on 3 March 2019, at 14:34 (UTC).